How do you turn a deadbolt into a brick? Update its software! That’s not funny, especially if you’re Lockstate, which rendered 500 connected door locks useless with a software update last week. Kevin and I add a bit of context to the event and then jump right into discussions about Anker’s Eufy Genie, a connected bassinet and a story that portrays Carnegie Melon’s super sensor in a scary light. We end with Caraoke, June’s new wall-mounted oven and a plan to use Outlook to schedule your Roomba. The Snoo bassinet costs $1,160. 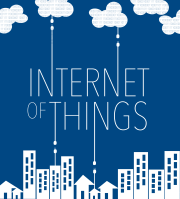 Our guest this week covers what we need to do to continue building out the internet of things. As SVP and General Manager of Silicon Labs’ IoT division, Daniel Cooley has the unenviable task of predicting what features chips will need three to five years before he thinks we’ll need them. In this segment he talks about pushing more math to sensors, how important it is to get security right, the future of human-to-machine interfaces and the types of business models we’ll need. He also dives into the concept of unified data models for the internet of things– essentially defining in software what a physical product can do. You’ll learn a lot. Someone put a baby in a Snoo! The internet of things needs data models stat! Correction: This episode credited the super sensor to MIT, but it was built by researchers from Carnegie Melon. The post has been changed on Aug. 29, 2017 to reflect the correction. In this week’s show, we issue a major correction owing to my lack of pop culture information, discuss a fully automated T-shirt factory and wonder why we don’t have more exciting news from the world of energy harvesting technology. On the smart home front, Kevin and I rethink our aversion to Apple’s HomeKit, discuss Google Home’s preview program and the potential for the Amazon Echo to offer multi-room audio. Finally, I talk about the gadget I’ve been waiting for for the last 18 months. No, it’s not the refrigerated crock pot. This music player puts my Spotify playlists on an iPod shuffle-like device. For those that want to experience a chill, stick around for Mike Spear, the ‎Global Operations Manager, Industrial Cyber Security at ‎Honeywell Process Solutions. He discusses everything from the differences in securing oil refiners and paper-making plants to how to train IT folks to think like a manufacturing security expert. We also revisit Petya and dig into who should pay for securing plants when compromising them doesn’t necessarily hurt the company’s bottom line, but might hurt the environment or national security. Enjoy the show! Which countries are creating good cyber risk regulations? Security was a big topic this week in the internet of things, so on the podcast we talk about news from Defcon, efforts to hack the Amazon Echo and our take on the Senate’s new IoT security bill. We also cover the week’s big news of the Wink platform getting sold to Will.i.am, Eero’s new employees and $50 million for TrackR, the Bluetooth-based tracking company. Kevin and I also highlight a product that we think is silly and discuss the future of bikes in a world of autonomous cars. Oh, and we answer a reader’s question, recommending this for lighting without a neutral wire and this for gaining voice control for your AV system. 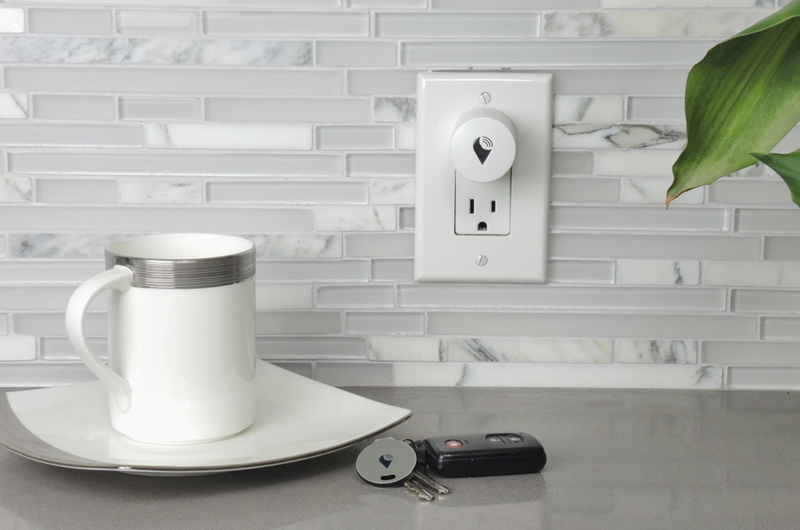 The TrackR Atlas will one day provide location information inside the home. The industrial and enterprise IoT folks will want to stay tuned for my interview with Microsoft’s Sam George, who heads up the Azure IoT Platform. George and I have had a few conversations in the last two years covering where the IT world stops and the real world begins. We talk about this plus the right architectures for the edge and a bit about Microsoft’s stance on cybersecurity. Finally, he shares a story from the Internet of Twizzlers.